As an independent Electrical Engineering consultant and expert witness with an emphasis on forensics, I provide claims investigations, litigation support and expert opinions to attorneys, insurance companies, fire investigators, and private parties for evaluation and analysis of electrical systems, components and products. 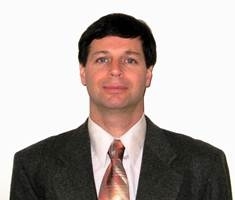 I have 25 years of engineering experience including supervision of electrical design work for commercial, industrial, governmental and petrochemical projects including: medium-voltage up to 69 kV, 480Y/277V, and 208Y/120V power distribution systems; switchgear; motor control centers (MCCs); dry-type and liquid-immersed transformers; motors; high-bay, low-bay, and office lighting systems; telecom systems; CCTV systems; lightning protection systems; and grounding systems. I'm also well-versed with the National Electrical Code (NEC) and have a substantial amount of direct field and inspection experience. Fires and accidents associated with electrical appliances such as microwave ovens, coffee makers, dehydrators, plug-strips, surge-suppressors and battery chargers. Electrical utility substations, transformers, and diesel generator fires and explosions. Electrical arc-flash and shock injuries from electrical equipment, systems, and appliances. Stored data losses associated with failures of electronic equipment such as computers, network server components, uninterruptible power supplies (UPS's) and surge protectors. Automobile and farm equipment fires, including semi-trailer trucks, RV's, delivery trucks, golf-carts, farm tractors and oil-drilling rigs. Electrical switchgear and bus-duct fires and explosions at a variety of facilities and business, including a substantial loss at a major shipping port. Building fires including shopping centers, apartment buildings, restaurants and hotels. Electrical switchgear reportedly damaged while in transit from the manufacturer. Construction defects claims where wiring, equipment and appliances were reportedly specified and/or installed improperly. Water-related damage to electrical equipment that failed as a result of it. Electrical Power system anomalies such as short-circuits, surges, and spikes on utility lines that caused equipment failures and business losses. Lightning strikes that damaged electrical installations, equipment and appliances. Losses associated with telecommunications equipment failures and radio transmitters. Resides in Orange County, CA only minutes from Santa Ana's John Wayne airport. CV and rates available upon request.